“Measure B.” Sounds innocuous enough, but this ordinance, which will appear on your November ballot, was written BY marijuana growers FOR marijuana growers. If Measure B passes, forget the General Plan, forget existing zoning, forget special use permits, and forget the California Environmental Quality Act. This ordinance side-steps them all. The moratorium that’s in effect until October 24, 2019 was passed by the Board of Supervisors to give the county time to craft an ordinance for regulating how and where cannabis can be grown here and how other cannabis activities, like dispensaries, can operate. The original Cannabis Working Group came up with a draft ordinance a Rastafarian would envy, resulting in pushback by citizens who seek something less biased. The moratorium gave us some breathing room to refine an ordinance through regular channels, specifically the Planning Commission process (where three draft ordinances wait to be considered). Measure B has circumvented that process by asking the public for an up or down, yes or no vote. And like so many initiatives that make it to the ballot, it represents the interests of those who wrote it. If it passes, marijuana growing, processing, and dispensing will be governed by exactly what is written in the initiative. If you live here, you need to read every word of its 30 pages. Prop. 64 provided for local jurisdictions to regulate cannabis. Growers’ impatience and/or distrust of the Planning Commission has resulted in Measure B—an end-run around public deliberation and prudent government oversight of an activity that has the ability to change life as we know it here. November is right around the corner. Educate yourself now. → Measure B good for Plumas? I was in Chester during the last 5 days and found little evidence that your messages are being heard. Do you plan a door-to-door campaign? I would like to read measure B. Where can I download? I agree with studying the initiative and the impact report by the planning dept. From pg.19 of the impact report.”Positive fiscal impacts may result from implementation of this initiative.Bringing illegal operations into compliance, with appropriate inspection and enforcement, may reduce costs to Sheriff. There will be less environmental degradation.” Pg. 34 “The initiative does not make any stated changes to the general plan. The general plan takes precedence over a land use zoning ordinance.” It just doesn’t sound like the impact report is predicting “changing our way of life”. In fact with the initiative’s limited licenses and small grow size, I don’t think life would be much different here than in 2017! Thanks. The key word here is “may.” “May” is a word used by manufacturers who can’t inconclusively prove their products can do what they claim. It is a speculative word indicating a possibility. “May happen” does not mean, “will happen”. The writer of the impact report was speculating. What it really means is they don’t know. In a public meeting less then six months ago, Sherrie Thrall was pressed to answer the question if Plumas Co. had the mechanisms in place to collect taxes on commercial cannabis activity. She finally said, “No. That’s a whole ‘nother layer of government.” It will take years of working through government red tape to create the mechanism by which these taxes will be collected. Therefore, there will be no fiscal impact. There will be no money to bring illegal operations into compliance. No money for inspections and enforcement. It definitely will not reduce costs to the Sheriff’s office. You can be certain it will only increase them. In another public meeting Sheriff Hagwood said there isn’t enough money or man power to regulate and enforce commercial cannabis activity. Joe Waterman, CPUD Fire Chief, has said repeatedly that there would not be enough public services to handle the increase in everything that comes along with commercial cannabis activity, ie. vehicular and personal injury accidents, DUI’s, fire, theft, crime, land and water contamination, environmental poisoning and destruction, just to name a few. This initiative was written by and for commercial marijuana growers for their benefit and no one else’s. Don’t be fooled. Vote NO on measure B! Tracy, all one has to do is look at other areas that have already legalized commercial cannabis. Oregon and Washington were able to collect taxes and license fees the first year and make a profit on top. The inputs by the folks you mention is conjecture, they are guessing, but luckily there are others who have already done the guess work and we can learn from them. 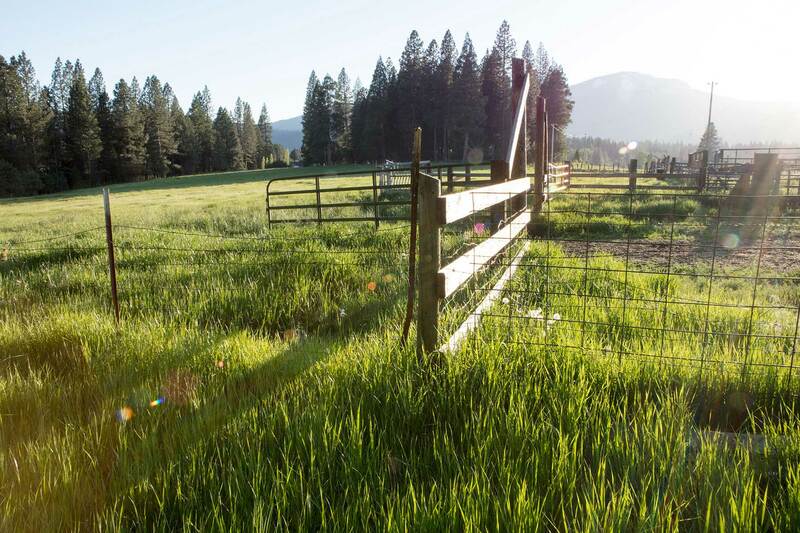 If you think Measure B won’t alter the lifestyle we enjoy in Plumas County, you are either gravely mistaken or a cannabis user. With other counties on the eastern side curtailing the growers in their back yard, growers will concentrate within counties who allow growers. The State of California has for years made it more and more difficult for the tobacco industry for the sake of the general health of California citizens…then they turn a head on just another form of inhaling smoke into their lungs. A group of prior teen users from the 70’s thru the 90’s grew up and are cramming their habits into our rural lifestyle. If the results of a study claim possible financial benefits from this measure even to law enforcement, why are most Sheriff Departments against the measure. I’m sure there are good financial benefits coming if Measure B passes. Duh, follow the money. The growers stupid! Tracy, read the University of the Pacific report on the fiscal impact of commercial cannabis in Calaveras county. Taxes and fees collected, no problem. Also, citizen’s group ordinance (finding K.) requires every personal cultivator to register. Whose going to pay for that ” whole other layer” and illegal abatement? There will be illegal grows even if Citizen’s ord. is adopted. The problem is not commercial cannabis, it is illegal growers. The most successful counties in Colorado are using integrated GIS licensing and enforcement mapping, and really taking down the illegal grows. Look up Accela. Tracy and Bill Howe, having grown up during the 60’s and the time of civil rights legislation, I’m particularly sensitive to the practice of stereotyping a group to confirm a prejudice. Also, I have been self-employed for 40 years, and I have no problem with people making money. Why do you? I agree that Meas. B is not the answer, but in my humble opinion,(no throat cramming) , a few changes would make a limited grow ordinance the best course of action to fund illegal abatement, protect our Environment, recreation, and children, the very goals of Citizen’s group.